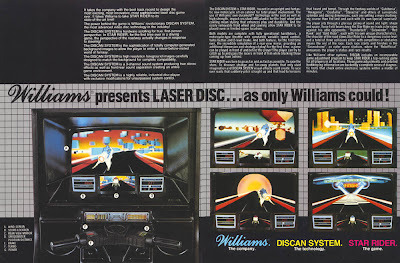 In 1983 Laserdisc games were introduced in Arcades, and the now classic Dragon's Lair made huge impressions among players. 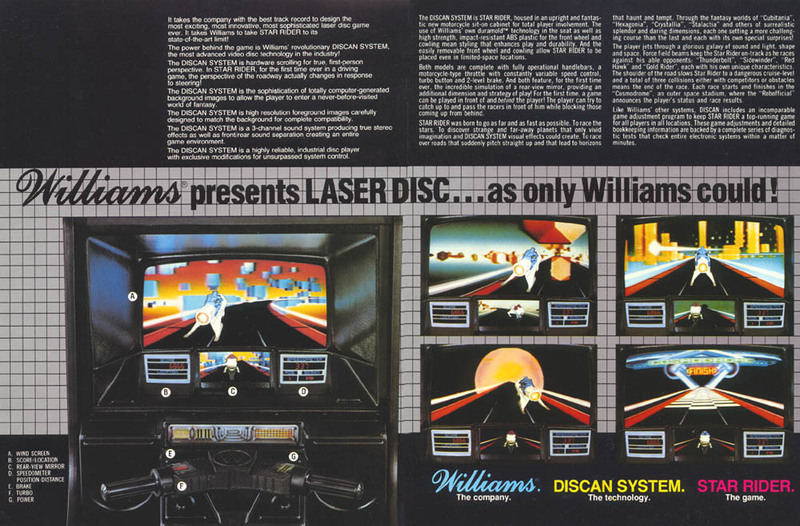 Game company Williams took notice, and while their penchant was in building great pinball machines, they didn't want to overlook the Laserdisc phenomenon. 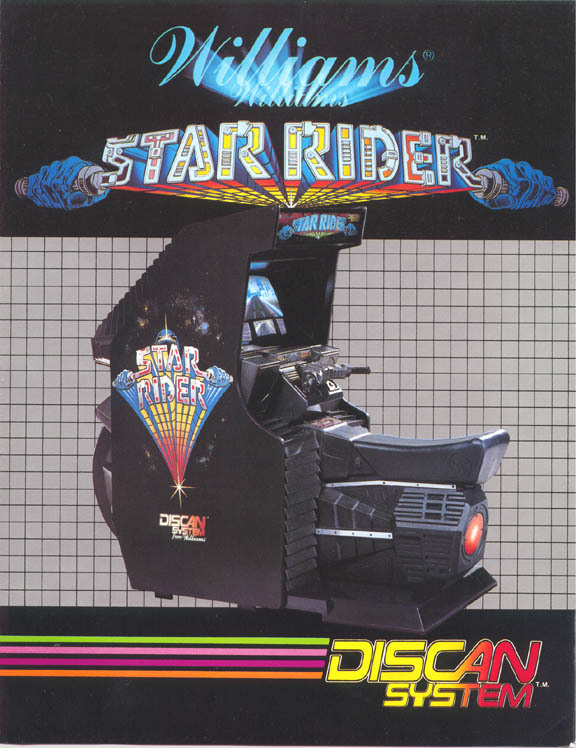 And in 1984, they released their first and possibly only Laserdisc-powered Arcade game: Star Rider. 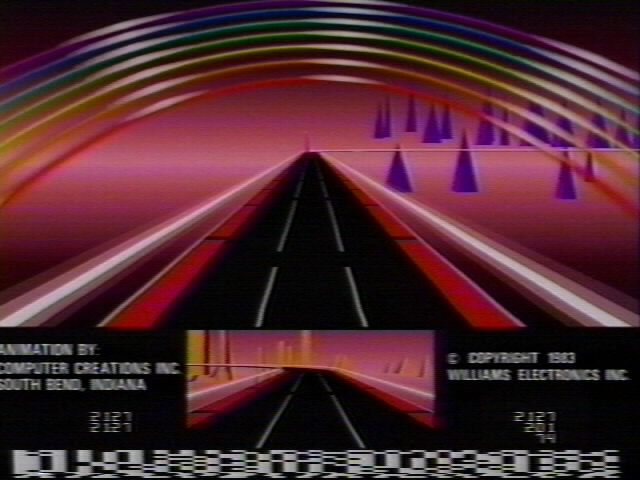 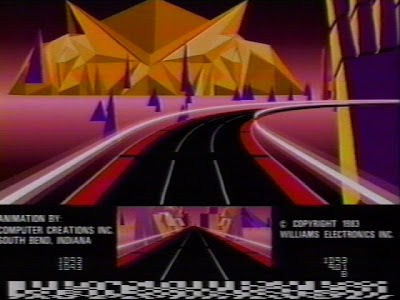 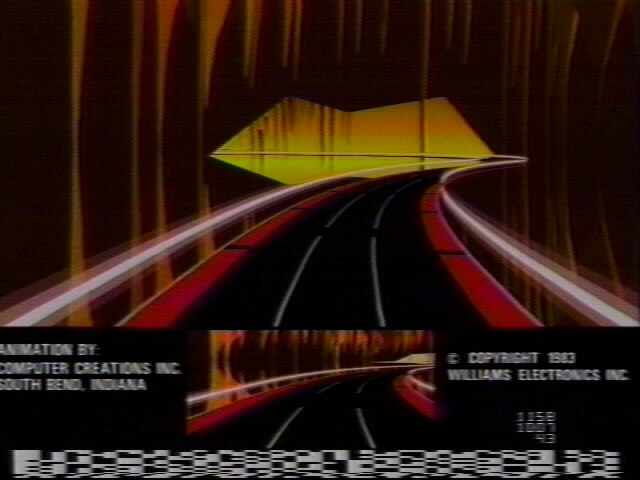 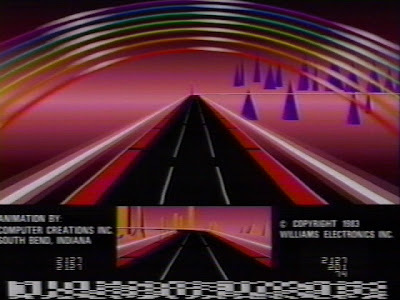 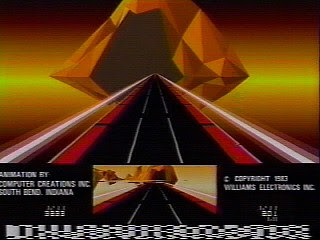 Star Rider was unique in that the player would ride on a "cosmic cycle" attached to the cabinet and would race on a surreal highway of enhanced video thanks to the power of what Williams' called the Discan System. The riders themselves would be superimposed in the foreground, leaving for plenty of power for each track to display astonishing outer-space landscapes. 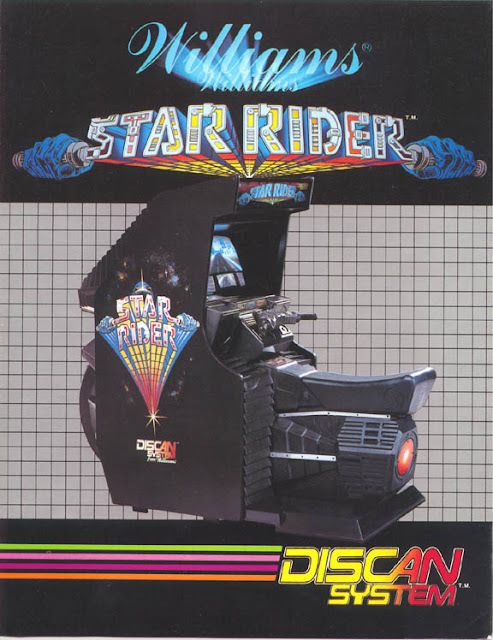 As the Star Rider, the mission was to win each race, which centers around a space stadium called the Cosmodrome. There are a handful of different worlds, and each world features different astronomic vistas. 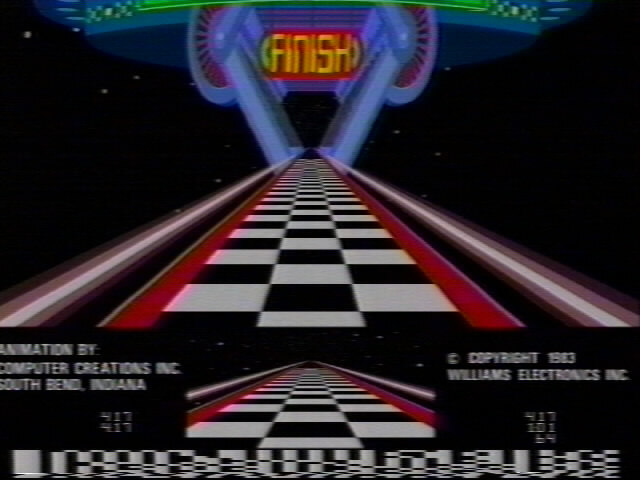 To win a race you'll need to avoid hitting other bikers as well as any obstacles on the path to victory. 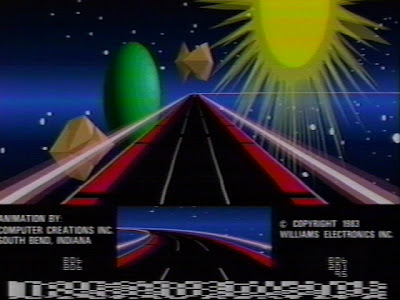 It's a simple racing premise which was eclipsed by modern games such as Wipeout, but Star Rider was truly ahead of it's time with it's stunning surreal imagery and vivid graphics. 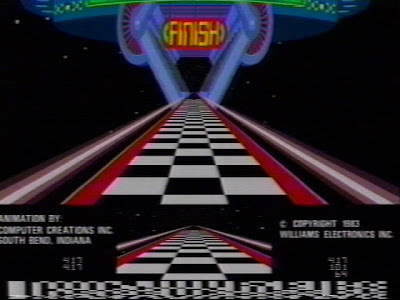 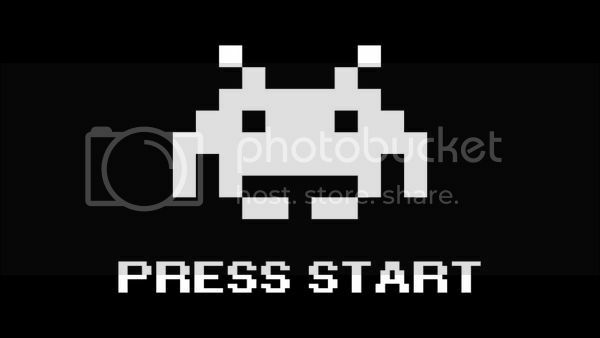 Adding to it's appeal is the fact that it's a very rare Arcade machine to find, and no ROM yet exists of the game for play on personal computers...it's basically become an enigma within the Arcade world. 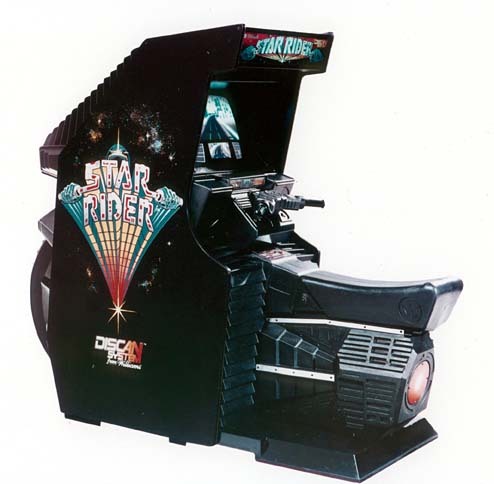 So if you are ever lucky enough to encounter a Star Rider cabinet, do yourself a favor....play it.